Anne-Maries blog: Jubii - I am free! New brushes arrived today - it is really important that the tip is very sharp when working on these small details. I always used to consider myself very impatient - but that is actually not true. I would never have thought I would have the patience to work on such tiny delails. That was just thoughts...and patterns of thoughts. 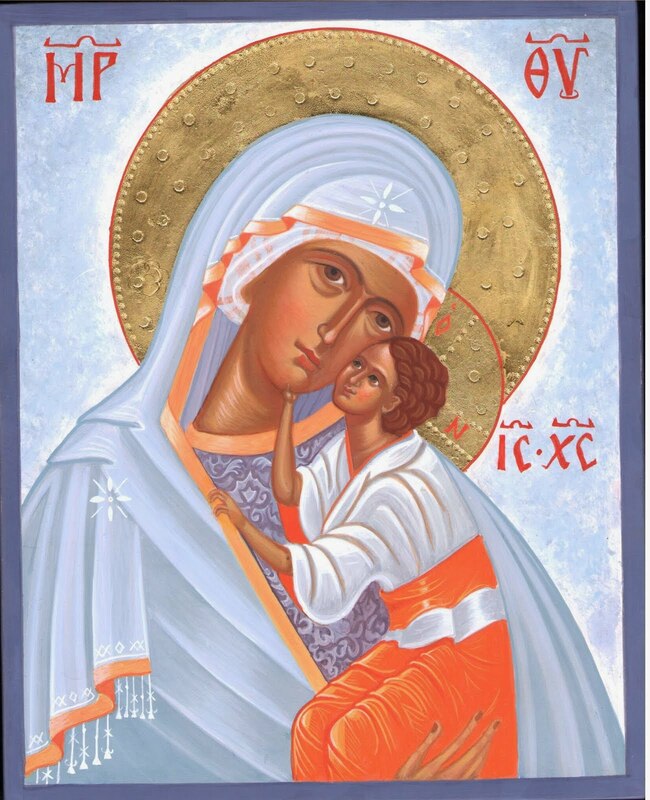 I enjoy this so much - I enjoy the details and the very slow process of painting an icon like this. Jubii - I am free!! I am NOT what I thought I was. That is for sure. Now - I do not really know - I just am. Very simple.